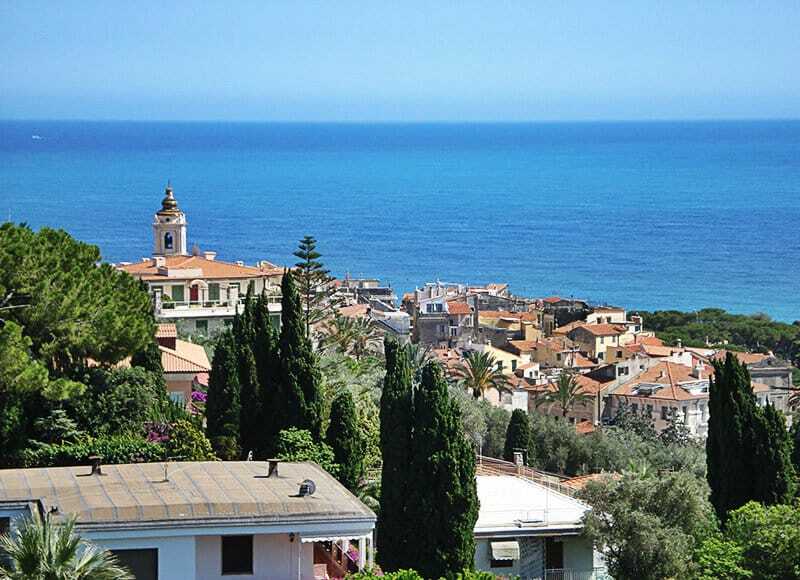 Visit the seaside town of Bordighera during your holiday in Liguria, Italy. 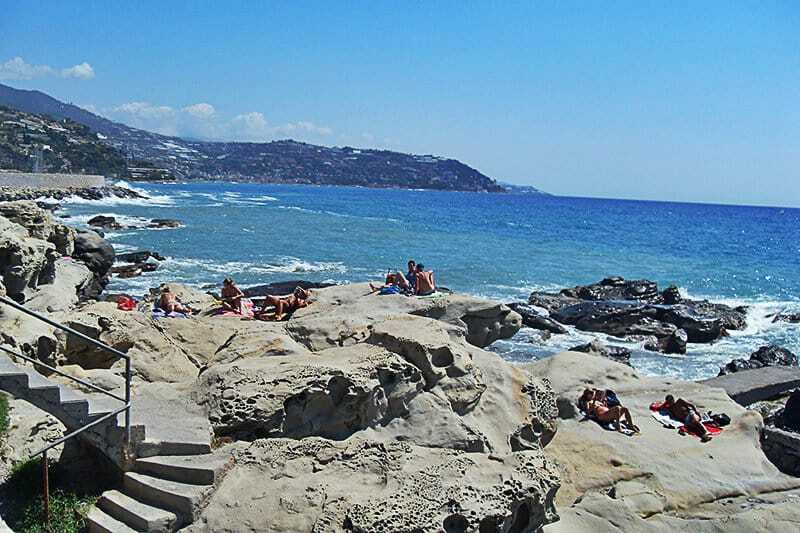 Bordighera is divided into two parts. 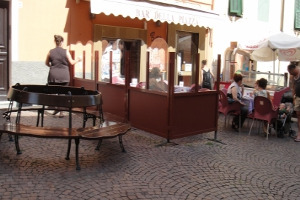 The older part called „Paese Alto“, lies on the upper side of the village and forms the original village. This is where the historic town center is located, with old gates, old walls and old buildings. Those who love going for walks along the sea should go to the part of town called „Marina“. There you can have a wonderful stroll along the seafront and enjoy a beautiful view of the sea. 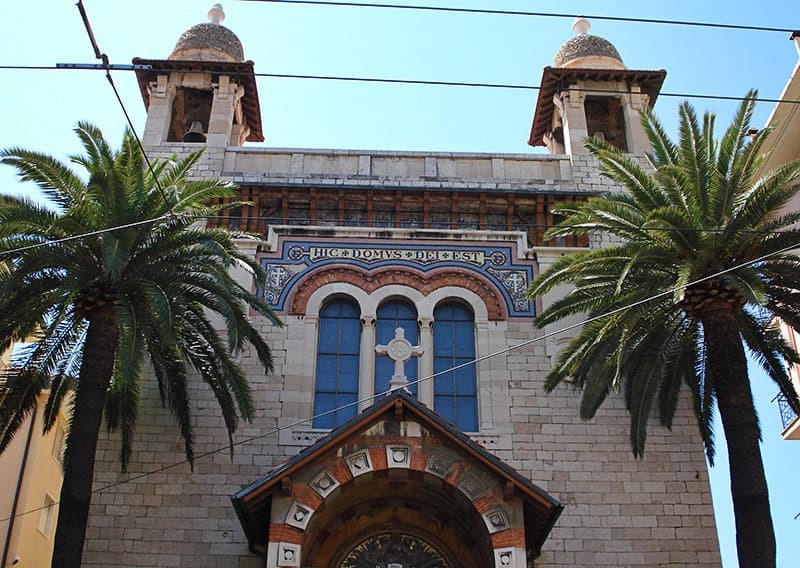 Bordighera offers many interesting churches, such as the parish church of Santa Maria Magdalena, which is located right in the old town center. Even the oratorio of St. Bartholomeus, where the representatives of the eight towns met and formed the Union is still well-maintained up to today and can be viewed. 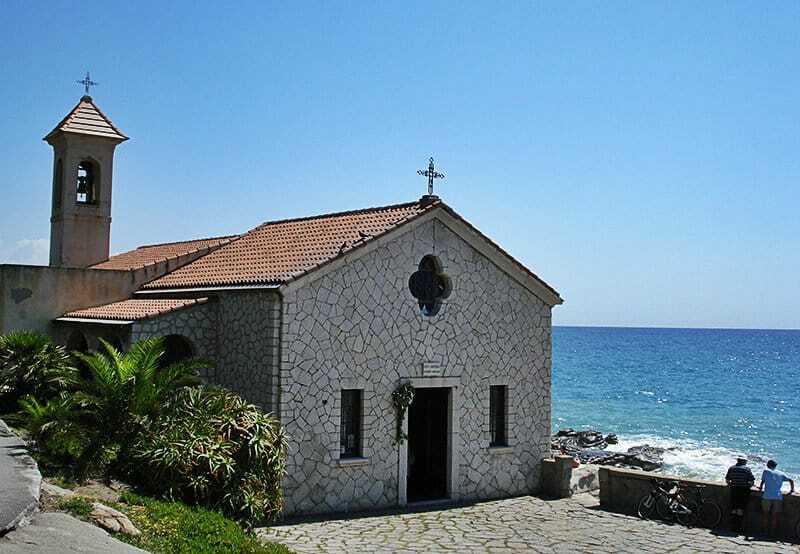 The small church of Sant'Ampelio, which has its origins in the 11th century, is also well-maintained to this day and is located at the end of the „Lungomare Argentina“ promenade. There are beautiful villas in art nouveau style, gardens and parks in the „Marina“ town district, along the fishing bay and directly by the sea. The town also has something to offer in the line of museums. Apart from the Natural History Museum, there is a museum for Liguria’s pre-historic past, with a comprehensive library. You will definitely get your money’s worth too, when it comes to the culinary side of things, because Bordighera also offers excellent wines in addition to the typical ligurian specialties. If you think that it is impossible to see whales and dolphins in the Mediterranean Sea, surprise yourself with a trip. The first whale sanctuary is located directly in front of the Ligurian coast. A whale watching tour is a special excursion on a boat, especially for children! 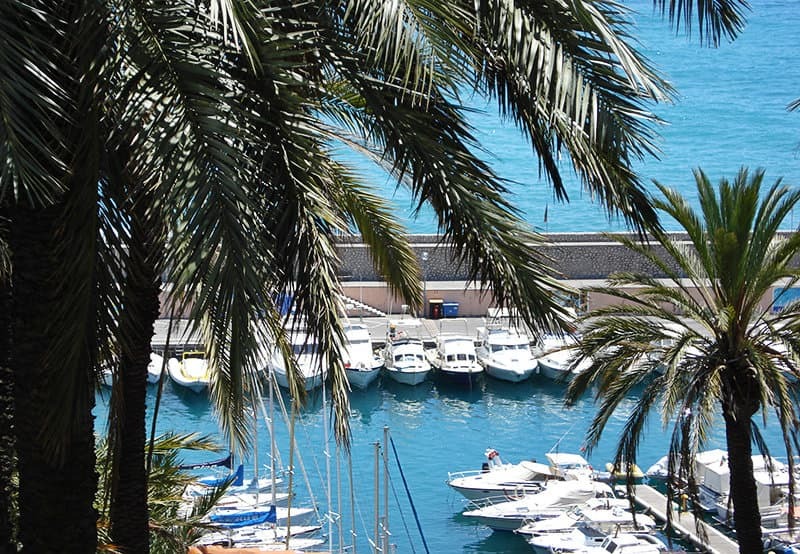 From April until November the ships daily depart from the ports of Genoa, Imperia, Sanremo, Varazze, Savona, Loano, Laigueglia, Andora and Bordighera. A five hour discovery tour you won’t easily forget! 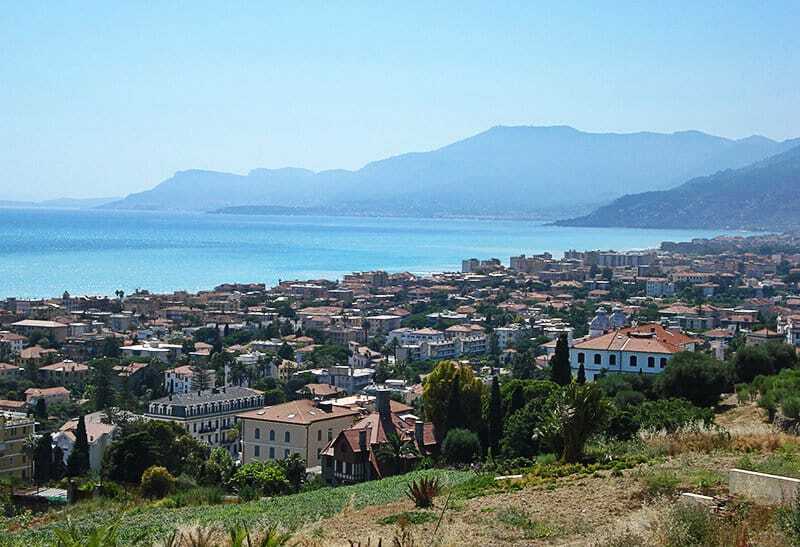 Founded around the 5th century BC, the village of Bordighera became a good defensive town against possible attackers due to its strategically favourable location on the hills. The inhabitants of the village lived mainly by farming and livestock farming, like many of the mountain villages in the area. With the opening of the Via Julia Augusta in the pre-Roman times, which connected Liguria with Gallien, a settlement grew up along this route. The name of the village, „Burdigheta“, which is related to the French word “bordigue”, meaning „defence“, is taken from a papal document stemming from the year 1296. As part of the settlement, a fishing bay was also constructed, and hence fishing was introduced as an economic activity. The Borghetto San Nicolo family decided to rebuild the town in 1470. In 1543 the Turks laid siege first to the town of Nizza, and then moved on through Liguria where they attacked and besieged Bordighera too, among other towns. 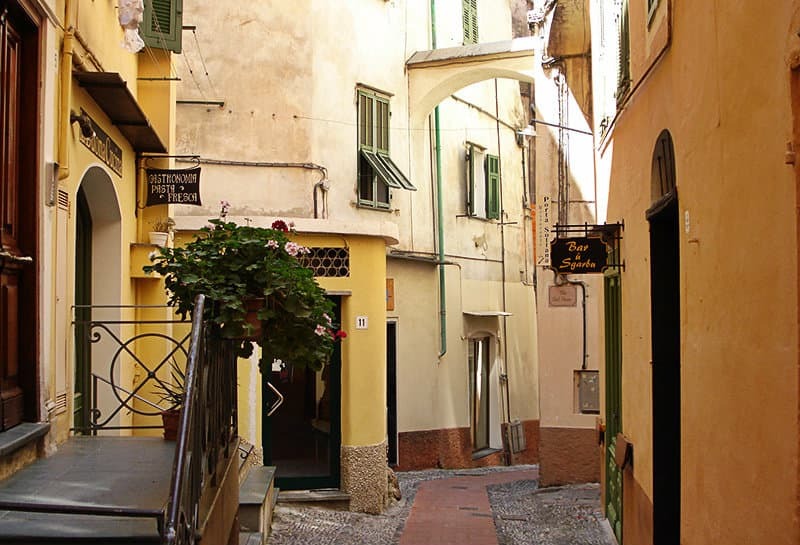 In 1686 representatives of eight towns, among them also Bordighera, decided to withdraw from the administration of the Count of Ventimiglia and founded the Union of „Magnifica comunità degli otto luoghi”, that is the „wonderful group of eight towns“. 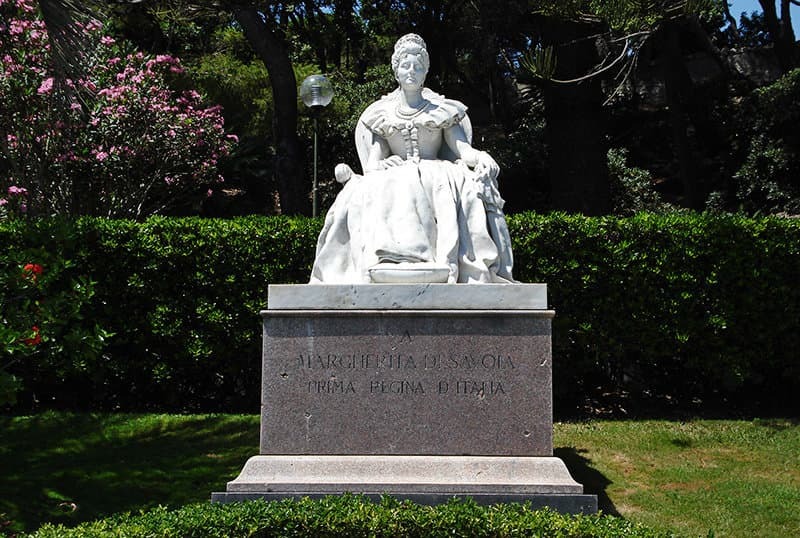 In 1797 Bordighera came under the Napoleonic rule and became part of the First French Empire in 1805. It was then decided during the Vienna Congress of 1815 that Bordighera be assigned to the province of Nizza. During that time there was increased building of connecting roads, and the infrastructure was considerably improved. In 1855 the author Giovanni Ruffini published his book titled „Doctor Antonio“, which aroused the interest of the British in the town. Through the increased tourist interest, the town developed into a tourist resort, and hotels, railway lines and streets were built. From 1973 to 2008, Bordighera came unter the jurisdiction of „Comunità Montana Intemelia“, but this was dissolved with effect from 2011. Bordighera is one of the villages in the Province of Imperia which is located in the Liguria region. Near Bordighera are other hamlets like: Sasso di Bordighera (4.9 km), Borghetto San Nicolo (5.1 km) and Vallecrosia Alta (6.7 km). You can reach the town through the E80 to Genova Ventimiglia and then taking the exit to Bordighera.